This is not really a full review, more some advice to save your hard earned money and about the connectivity issues I had with the Jabra Elite Active 65t earbuds. For years I have used my Apple iPod 3rd Generation to run with. As times have progressed I have started to use my iPhone 6 SE more and more to listen to podcasts. The benefit of using a phone is that I can search for new podcasts and have them downloaded in a few minutes ready for my run. The drawback of using a phone is that it is much larger and more difficult to carry when running. I found the On Running Hybrid shorts which has a secure pocket in the left leg to carry a phone. Now that I could carry my phone when running I was excited about going truly wireless and getting some earbuds so I could enjoy my run without having to fiddle with my phone. After some research, I settled on the Jabra Elite Active 65t and paid £165. They arrived before Christmas, paired quickly with my phone, sounded great and I was psyched to start the marathon training over the Christmas break. I rose on a chilly December morning, had a cup of tea, pulled my running kit on, sorted my phone and earbuds, stuck some Above and Beyond on and set off out the door. I made it about 30 metres and the sound on the earbuds started to cut out. I tried to figure out what the issue was for 5-10 minutes and then swapped back to my £10 headphones with wires. Over the next few days, I tried many times to figure out the issue but got the same result with the sound cutting in and out. I called Jabra and they told me to reset the earbud and reinstall the firmware (and if I was not happy to return them). Neither the rest or reinstall worked. I Googled the issue and found one guy who said he swapped his watch to the other wrist and that sorted it. I tried with no watch at all, the same problem. Following further playing around I think I solved my problem. The right Jabra earbud is the important one that controls everything sure as connectivity. My phone was in the phone pocket on my left leg. When I moved the phone to the right side the connectivity improved but was still poor and was okay when I held the phone in my right hand. I also found that the audio dropped out more when pressure was put on the phone, for example when it was held securely to my leg by lycra. I also experimented using the earbuds and having the phone in a pair of jeans whilst running and again the audio dropped in and out. The problem as I diagnose it – the phone cannot be in a left pocket for the connectivity of the Jabra Elite Active 65t to work well. Applying pressure to secure the phone also caused problems. 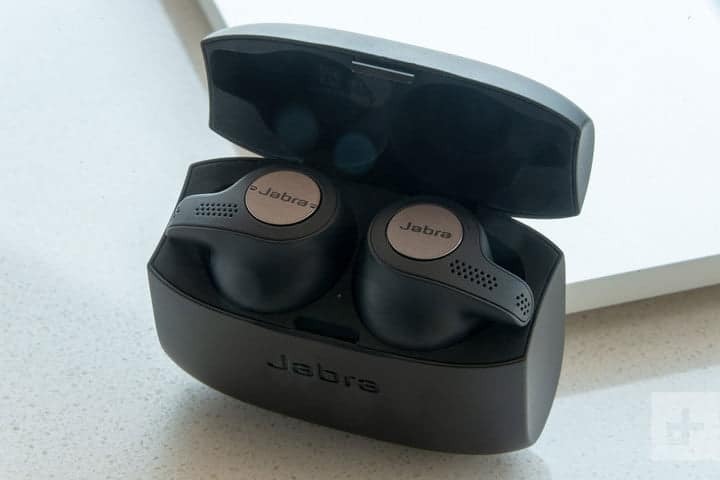 Many of the tech review sites and blogs gave the Jabra Elite Active 65t rave reviews stating they are the best truly wireless earbuds on the market and that the connectivity was fine. This was part of the reason I bought them and splashed that kind of cash. I’m not sure if the favourable reviews are due to getting a free pair and not wanting to piss of Jabra, but this is not at all what I found. 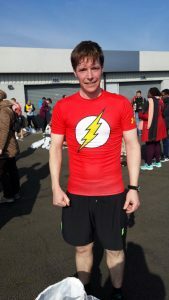 When I spoke to Jabra, the person on the other end was very matter of fact about I should just return them, which could be good customer service or that they know there is a connectivity issue. I took him up on the advice and have returned them. Responses to reviews stating dropouts on their website suggest there may be “interference from an environmental source” which is very wishy-washy and not at all helpful. For earbuds marketed as “Built for active lifestyles” and “Wherever your day takes you, and whatever your activity, it won’t get in the way of enjoying sports, music and calls” they are pretty disappointing. For me it seems running with my phone on the left-hand side of my body is a step too far for the Jabra Elite Active 65t. This review is in no way a screw you to Jabra. It seems many people are happy with their purchases. My personal experience of their product was a poor one and there are many mixed reviews from users (not expert reviews) and suggest others found the same thing. It seems that other brands with truly wireless earbuds also have connectivity issues. Whilst I still want a pair, I think I will stick with my wires until the tech catches up to the marketing.